MAKE A REQUEST ABOUT CHRISTMAS SPECIALS NOW! PLEASE COMMENT TOO! 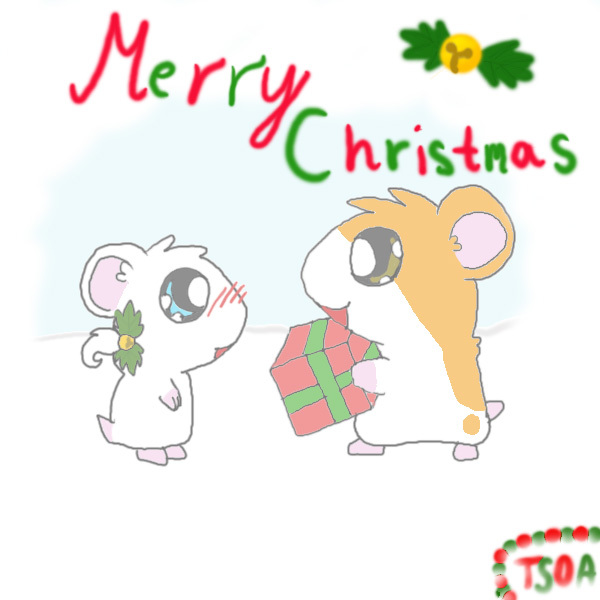 Hamtaro and Bijou are soooooo cuuuuute! Ok, thought I'm of the opinion that hamtaro is creepy and of satan, this is cute as hell.